When you have small children, attending a parade can be torturous. There are a lot of crowds, lots of standing, and lots of waiting! 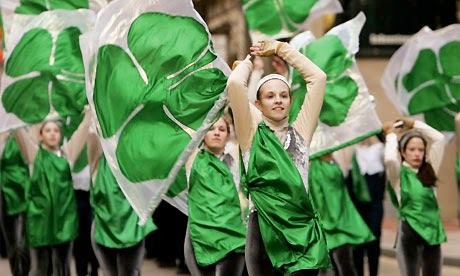 Nevertheless, St. Patrick’s Day is a fun and exciting celebration, and with the right preparation, going to a parade can be a great family event. My family attended the parade in Philadelphia last year, and I learned a ton of useful tricks for making the day enjoyable! Before you head down to the parade, it’s smart to research different factors, such as transportation, the complete parade route, etc. Last year, we took public transit to the parade, which eased a lot of stress regarding parking, which can be quite expensive and hard to find. Also, there are definitely spots along the parade route that will offer better visibility and places to sit. Rather than trying to find a spot after you arrive, aim to send one adult family member ahead of time to stake out an optimum location. That way, you and your family won’t have trouble seeing the fanfare. Watching a parade can be a lengthy experience, so make sure you come prepared with the essentials. For small children, Band-Aids are a must, as well as bottled water and snacks. Parade food is usually expensive, greasy, and blocked by long lines, so last year I brought some homemade granola bars. They definitely helped hold off growling tummies. It’s also a good idea to locate the nearest restroom early on. I used this Charmin App to locate the nearest restrooms around the parade. That way, we were able to avoid wandering around aimlessly and any bathroom emergencies. 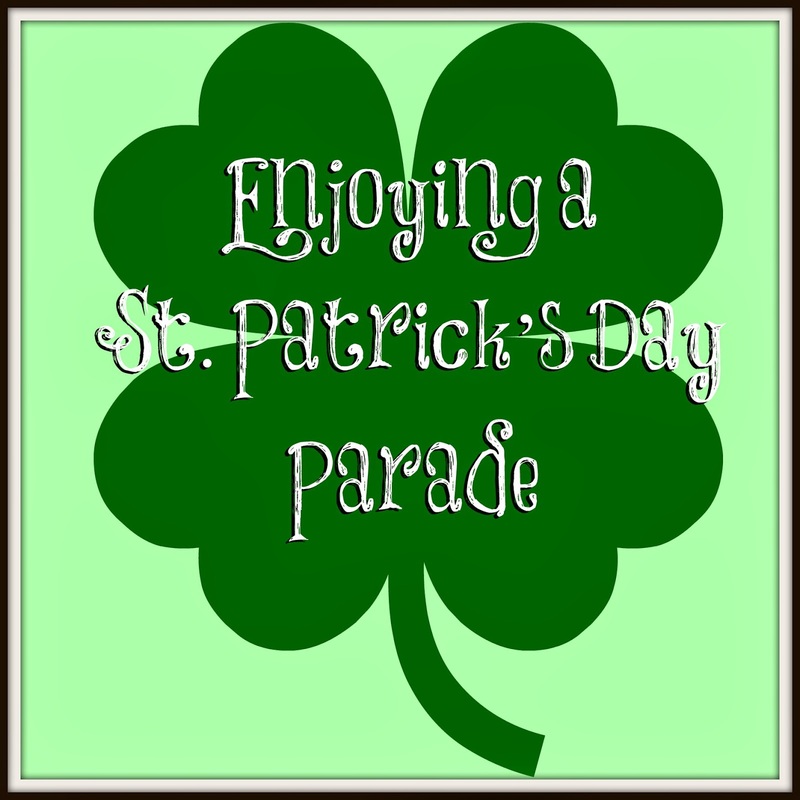 One way to have fun with the parade is to embrace the St. Patrick’s Day spirit. 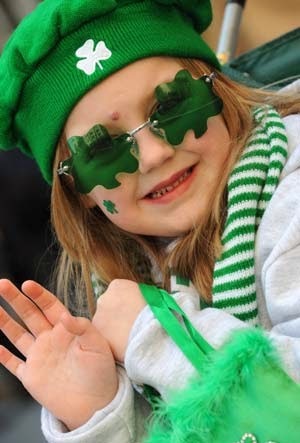 Prior to parade day, get the kids excited by helping them complete a simple craft project. This easy shamrock necklace was a hit with my family. We all went to the parade adorned with handmade necklaces. And, of course, don’t think bright green is your only option. Change up your outfit by mixing in different shades such as lime and hunter greens! Even though spring is on its way, don’t be deceived! Chances are, the weather will be rather chilly. It’s easy to get cold, especially if you’ll be standing in place for a long time. Make sure you pack hats, gloves, warm coats, and even hand-warmers. My husband and I brought coffee in a thermos, which kept us warm and energized throughout the day. Kids will appreciate hot cocoa or cider. Going to a parade usually turns into an all-day event, so take your pets into account. Last year, we considered bringing our Labrador to the parade, but decided against it, since he doesn’t do too well with crowds and loud noises. If you plan to leave your pet alone, arrange for a sitter in advance – sometimes it’s hard to find pet care during a holiday. If you do bring your furry friend to the parade, just be sure to pack plenty of food and water, as well as a blanket, so your dog won’t have to lie on the hard pavement. 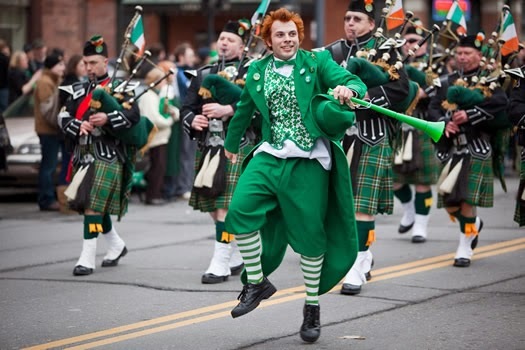 With a little preparation, your St. Patrick’s Day Parade won’t be a nightmare. These tips helped my family enjoy the parade without any mishaps. In fact, it was a truly wonderful and memorable experience that I hope to repeat for many years to come!